Sound Relationship House Level 5 – Conflict Management. Healthy relationships don’t avoid conflict and sometimes they don’t resolve it. Healthy relationships can manage conflict. Healthy couples are very good at recognizing the negative cycles and escalation patterns more so than the content of the issue. There are 2 types of issues for couples. Solvable problems are generally easy to fix but represent only 30% of the issues couples face. Perpetual problems are those that involve differences in personality, upbringing, and world view – they represent 70% of couples issues and have no real solution. When couples become gridlocked they can no longer comfortable talk about the issues. 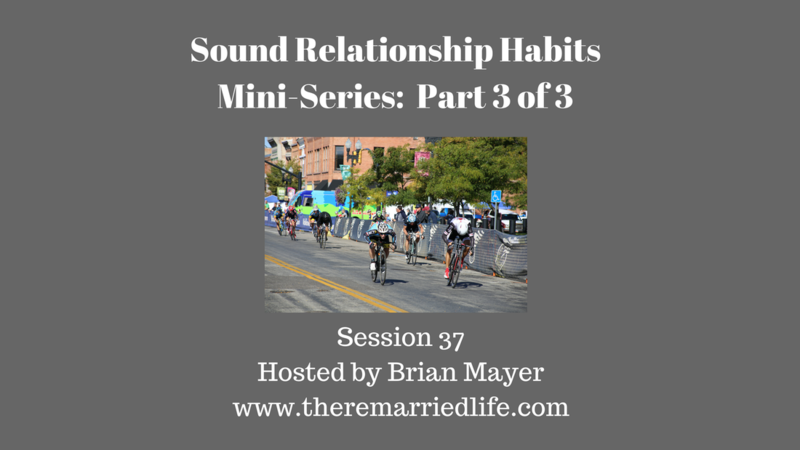 Couples need to get at the underlying core issue in order to understand each other better. Keys to conflict management are to watch for harsh startups, attempts to solve or give advice when not asked for, and viewing the partner as the problem and not the problem as the problem. Level 6 – Make Life’s Dreams Come True. Each of you has a dream individually whether it is to be a better parent, more healthy, or more successful at work, or more spiritually connected. You each have an obligation to the other person to do what you can to help those dreams become a reality. Making life a win-win will help both partners. If life is viewed as you win and I lose, then relationships will soon falter. Level 7 – Create Shared Meaning. This is the pinnacle of the relationship house and what I call the attic. It can be hard to obtain but is possible. This level is all about creating a legacy for future generations. It occurs when partner works to maximize that person’s interests and not just their own. It is knowing that I have my partner’s back and they have mine. The level is nourished and made possible by showing gratitude and comparing your partner favorably to others.